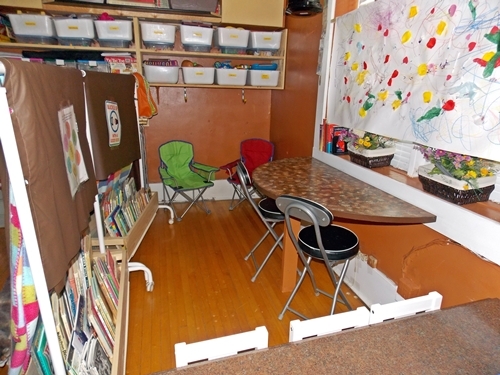 There is space for all the school-age children to do crafts, sit and read books, or play with quiet toys from one of the bins. 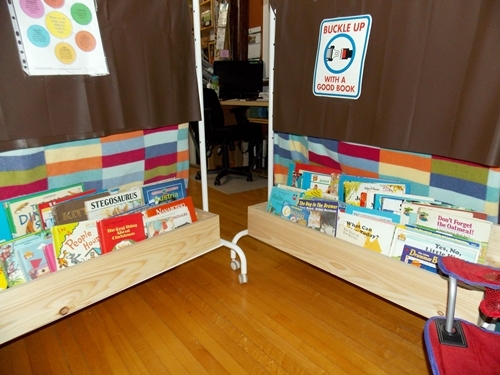 There are blankets on the dividers to offer a little sound insulation but the children are still encouraged to whisper as they talk amongst themselves. These dividers are the only solid barrier between the nappers and the non-nappers. At first reading books is the only activity choice available. 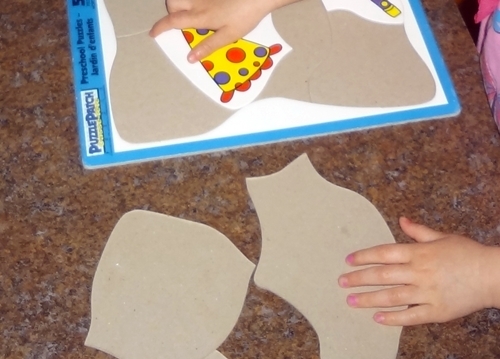 Gradually their quiet time is lengthened and other activity choices such as the felt board may be added. 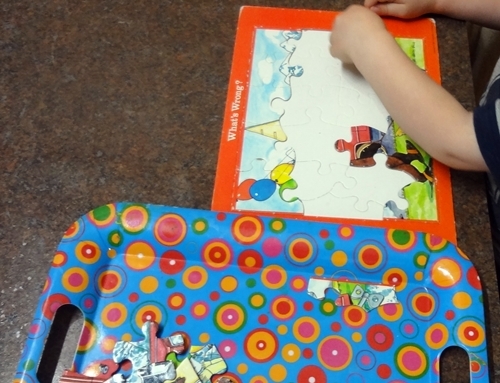 Eventually their nap is completely eliminated and they are capable of independently engaging in quiet time activities for the entire time the little ones sleep. 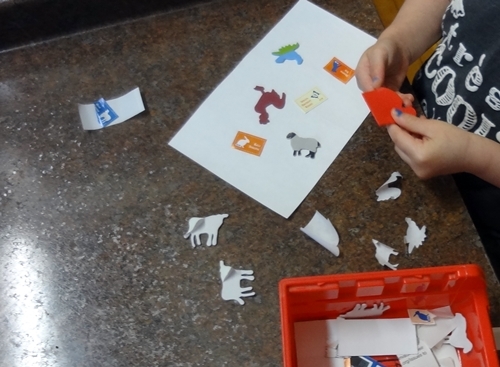 Some of the toddlers much prefer the other quiet time activity choice – stickers! 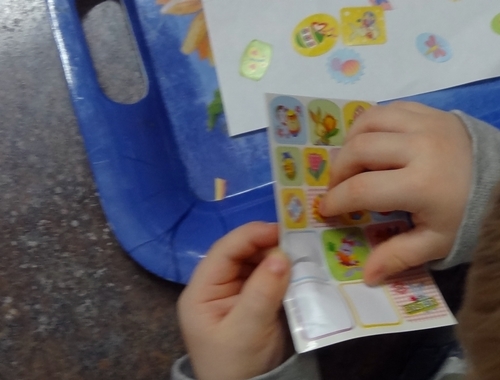 Although some toddlers find stickers to be a tedious, often frustrating activity there are others that will peel and stick stickers for hours on end. So, even though there are always some miscellaneous stickers in amongst the craft supplies I have a large secret stash of ‘just for quiet time’ stickers too. You never know when I might need a toddler to be quiet for just a little bit longer before nap time is over.